This non-profit medical center’s roots run deep in Horry County. In the 1920s, a group of local physicians recognized the need for a hospital in the county and the application for a charter for Conway Hospital was filed with the South Carolina Secretary of State on November 7, 1928. At the time, the hospital was on Elm Street in the old Burroughs Hospital. They soon outgrew that location. Work began on constructing and furnishing a new building on 9th Avenue with accommodations for 31 patients in single rooms and wards on three floors. An open house for the facility was held on May 30, 1930. Then in 1982, Conway Hospital moved to its current location on Singleton Ridge Road. However, the growth did not stop. In 2001, the hospital expanded the Emergency Department, Obstetrical Department, and added a three-story medical office building. A new Patient Bed Tower opened in 2009, adding 71,000 square feet and 64 patient rooms including critical and surgical care. Today, Conway Medical Center has 210 inpatient beds and is one of the county’s largest employers with over 1500 staff members. We are excited about the growth that continues at Conway Medical Center as we work to improve the overall health of our communities by being a leader in healthcare.  Conway Medical Center’s medical staff is comprised of approximately 200 physicians, representing 30 specialties. CMC also owns Conway Physicians Group which includes physician practices from Georgetown to North Myrtle Beach. View our locations. Diagnostic services include cardiac catheterization, PET scanning, two high-speed GE CT Systems including a 64-slice CT scanner, 3-D Mammography with SmartCurve technology, 3-D heart scans, PET scanning, MRI, breast MRI, bone-density screening, digital mammography, stereotactic breast biopsy, high definition endoscopy/bronchoscopy, and a sleep-disorders lab. The facility also offers an outpatient physical therapy and cardiac rehabilitation program. CMC specializes in general and vascular surgery, joint replacement surgery, spine surgery, medical care to include critical care, telemetry, inpatient dialysis, palliative care, obstetrics, pediatrics and women’s services.